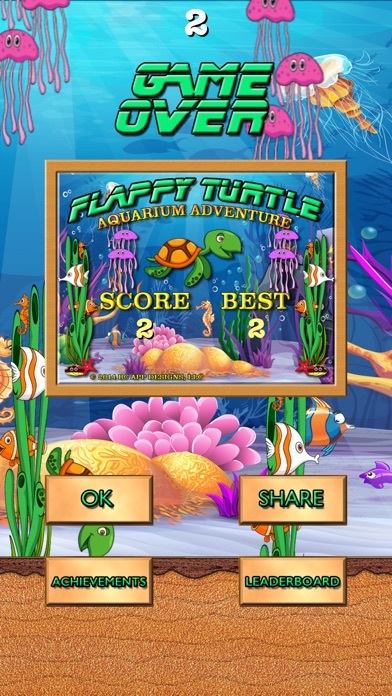 In Flappy Turtle Aquarium Adventure & Aquarium Adventure Pro we added Game Center. This allows everyone to track their achievements and see where you and others rank on the leaderboard. Don’t forget to challenge your friends when you reach a new achievement or high score! The achievement icons will not show up until you have completed that achievement, but we wanted to share what achievements are in the game and at what level you can expect to earn them. 1. 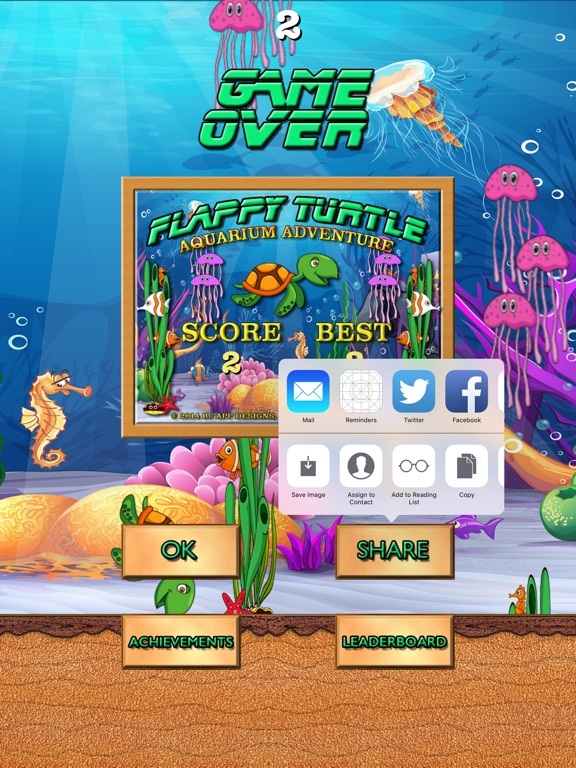 Happy Hatchling – Taking baby turtle steps! Good job, you are getting the hang of it! A player will earn this achievement whenever they get more than 10 points. 2. 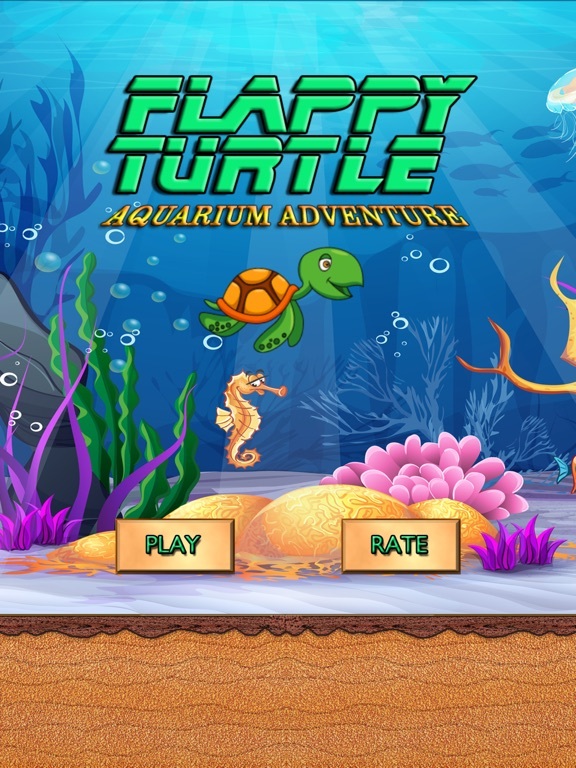 Flapping Flippers – Flippers are feeling good! You rocked that last set! A player will earn this achievement whenever they get more than 20 points. 3. 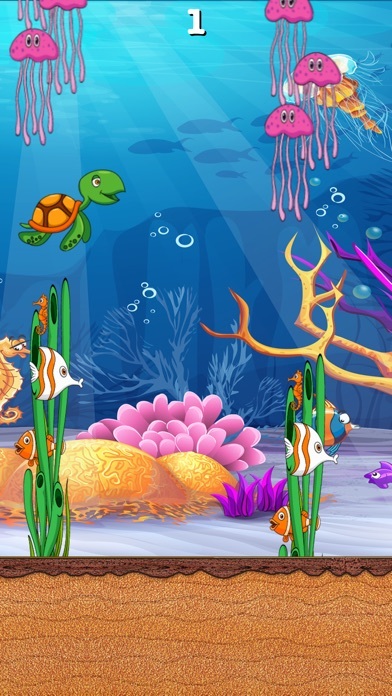 Clapping Clams – You are gaining an audience in the aquarium! All the clams are clapping you on! A player will earn this achievement whenever they get more than 30 points. 4. Bubble Buster – Wow! Those are some mighty lungs you have there! You’ve been under water without a breath for a long time! A player will earn this achievement whenever they get more than 40 points. 5. Starfish Surprise – After that last set you have all the starfish talking; could he be the one? Another Nero or Nemo? … No no it’s Sheldon to the rescue! A player will earn this achievement whenever they get more than 50 points. 6. Jellyfish Sandwich – Incredible, you have avoided 60 Jellyfish and haven’t felt their tingling tentacles yet! A player will earn this achievement whenever they get more than 60 points. 7. EAC Rider – You just proved you could ride the East Australian Current (EAC) superhighway! A player will earn this achievement whenever they get more than 70 points. 8. Super Sheldon – You have the makings of a super hero! Give that turtle a cape and a big red “S” for Super Sheldon! A player will earn this achievement whenever they get more than 80 points. 9. Ray Runner – Congratulations! You have proven you can outrun Ray, the aquariums speediest stingRay! A player will earn this achievement whenever they get more than 90 points. 10. Dancing Daphne – You have a super fan, Daphne the dolphin! She is so happy you have reached 100 points that she is dancing on top of the water! A player will earn this achievement whenever they get more than 100 points. 11. Inking Ollie – You’ve hit the big time; Octopus Ollie is waiting for you when you finish so he can have you sign a contract! He even brought his own ink! Looks like you may have your own agent! A player will earn this achievement whenever they get more than 110 points. 12. 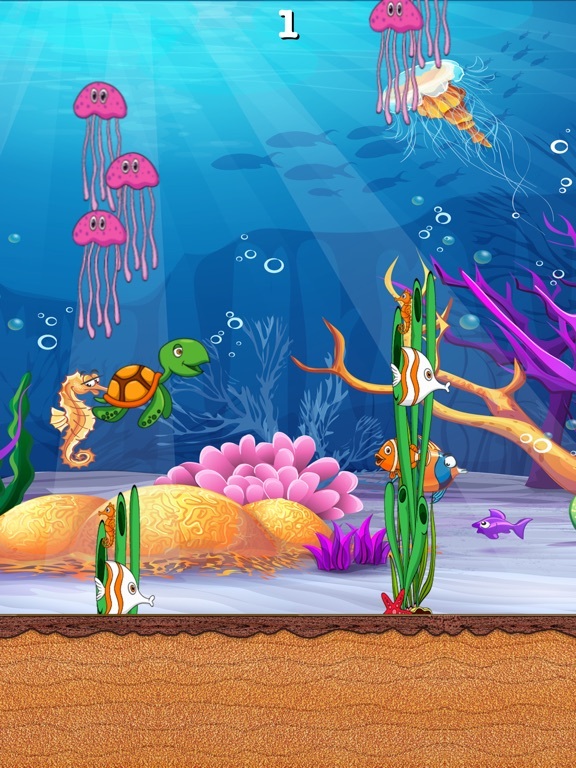 Shark Alley – Congratulations on making it through Shark Alley! You have proven you aren’t going to be sushi for any sharks! A player will earn this achievement whenever they get more than 120 points. 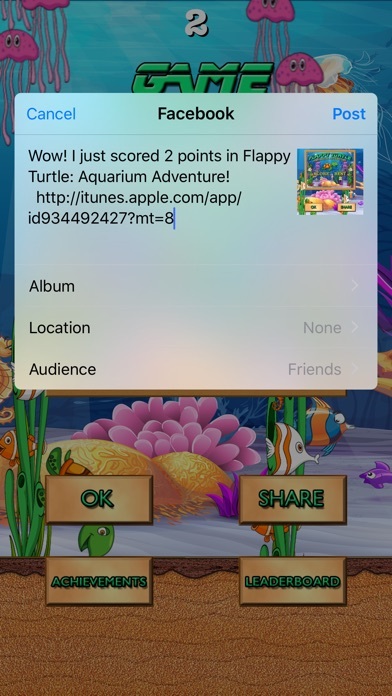 A couple of weeks after we released our first game, Flappy Turtle: Aquarium Adventure, we received word of a 10 year old girl, Riley, in Anchorage Alaska who scored first 101 points then a few weeks later scored 105 points on our new game! The highest score we had heard of anyone getting in the game was 57 by an 8-year-old boy, Noah, who also lives in Anchorage Alaska. Yes, they know each other and are friends, as their mothers are co-workers together at the university. I decided that I wanted to talk with this little girl to get her view of the game and see how she got such a high score! I contacted her mom, Teresa, to get permission and made arrangements for an appropriate time to call and talk with her. When I called, Riley was really excited to talk to someone who had created the game. She told me that she really enjoyed the game and loved the nice graphics and the cute turtle, Sheldon. I congratulated her on reaching the highest score of anyone I knew playing the game and wondered how long it took her to reach that high of a score! She surprised me by saying she reached it after playing about 20 times! She asked what my high score was and I told her I’ve only been able to make it to 32. During testing I had to set the counters to start at different levels in order to test out the game play at each level with all the changes in physics like gravity, ground speed, impulse and angular rotation. She knew exactly what I was talking about and said that she noticed how things changed along the way and had even discussed it with her friend Noah who also was playing the game too. I wanted to get her perspective of the game compared to other games and asked if she knew of anything I might add or change to the game? 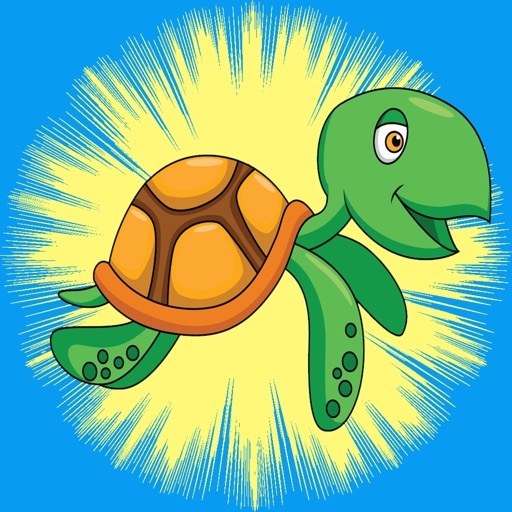 Riley replied, “Oh yes, I thought about this…and I think it would be really great if the turtle was able to collect coins along the way, that way you could buy different colored turtle shells or maybe a Santa hat or even some bling, like a necklace or chain around his neck.” I told her those were wonderful ideas! I was really impressed with this little girl with her wonderful ideas and how articulate she was in talking with me and describing those ideas. I asked her if her school was using iPads or tablets in her classrooms? She said, “No, not yet.” I told her that some of the schools in our area were just getting around to having the students using iPads. They were using them to load all their books onto them and then using them in class interacting with teachers and smart boards. She thought that was cool, but she also had an opinion. She told me, maybe that wouldn’t be fair in things like math, because in her school you are required to show your work and if kids were able to just use it like a calculator they could get the answer without really learning how to work the problem. How many employees do you have working for you? How did you do the animation? What game are you doing next? I was impressed and answered all of her questions. I remembered her mom told me she had just come from her art class, so I made sure to tell her how important it was to draw out the characters and storyboard the scenes before animating or programming anything. I asked her if her friend Noah was upset with her for beating his score in the game? She said, “ Nope, we wouldn’t let anything like that ruin our friendship!” She was so impressive! I thanked her for playing the game and getting such a high score and told her that I may contact her in the future to test out some of my games before I release them! She was excited to hear that and said she would love to do that! I ended that call after about 40 minutes and thanked her mom. About an hour later I received a text message from Riley on her moms phone with three pictures that she had drawn for me. They showed her ideas from our conversation. The first picture was of the turtle, Sheldon, with a Santa hat and a colorful turtle shell! The second was a drawing of the coins containing a turtle emblem in the middle. And the third was the turtle again with a different colored turtle shell. My heart just melted! When I emailed her mother the following day she responded that she couldn’t believe the conversation she was listening to on her side of the phone and how proud she was of her daughter. She was amazed to see her so engaged and inspired by the phone call. She said Riley immediately returned to her room and broke out the crayons and started drawing! Riley wanted to send me the drawings and she suggested taking pictures and texting them to me. After talking with Riley I can understand how she reached an unbelievably high score in the game! It also made me realize the impact our games and apps have on children. I know I have a new friend! Our phone call inspired me and I believe it may have inspired a smart little girl in Anchorage Alaska! I wish everyone a Happy Holidays! I’ve already received my Christmas gift! Welcome, we released our first app for the iPhone and iPad on the App Store November 5, 2014. 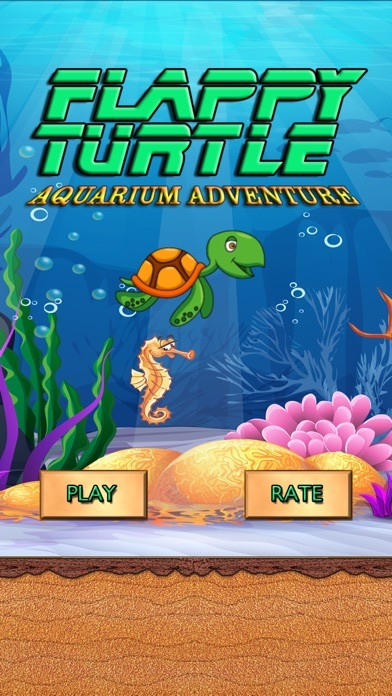 This app is a constant runner styled game where a sea turtle named Sheldon, tries to swim his way through the aquariums obstacle course by having the user tap repeatedly on the screen to have him flap, keeping him afloat while trying to avoid getting caught in the sea plants or stung by the jellyfish above. 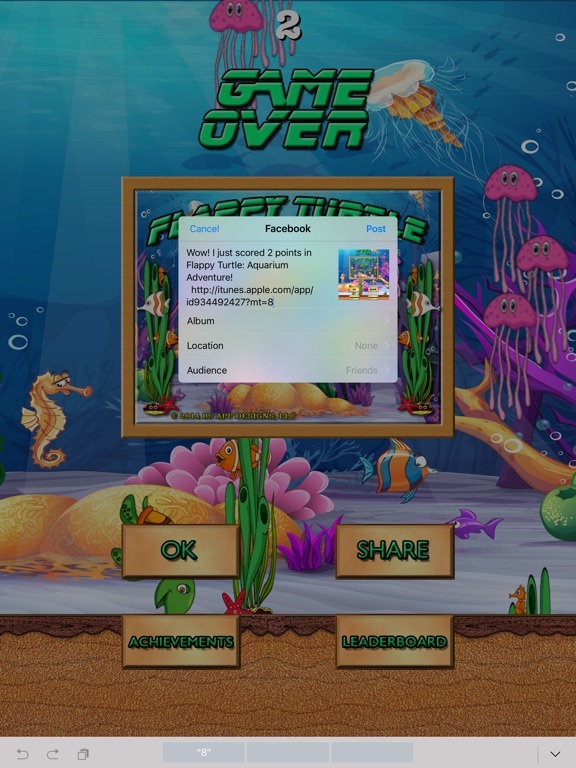 The game can be difficult and very addictive causing the user to want to share their high scores with friends and family via social media, messaging or email just by pressing the “Share” button which will take a snapshot of the users screen with their score and allow them to select which social media application they would like to use for posting. 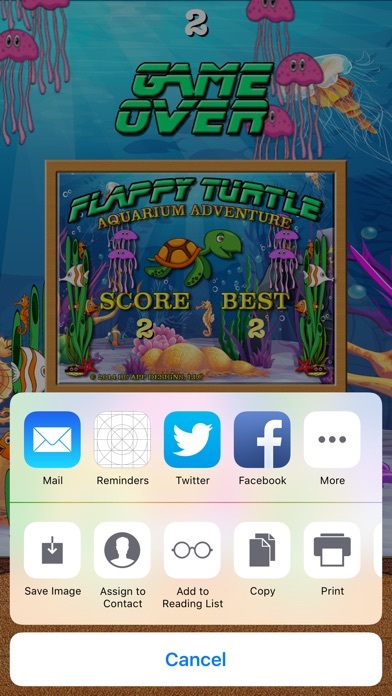 The “Share” button also allows for messaging, email and saving as a photo to the iPhone/iPad device. Don’t forget to “Share” your results with friends and family on social media like Facebook and Twitter. You can even message or email you results to friends too! Gook Luck and Go Sheldon!! We have released a free version with banner advertising and an Ad-Free version for 99¢. Please take time to rate and review the game, it helps other customers gather more information and decide if this is the game for them. Very nice graphics! Lots of fun for my kids! 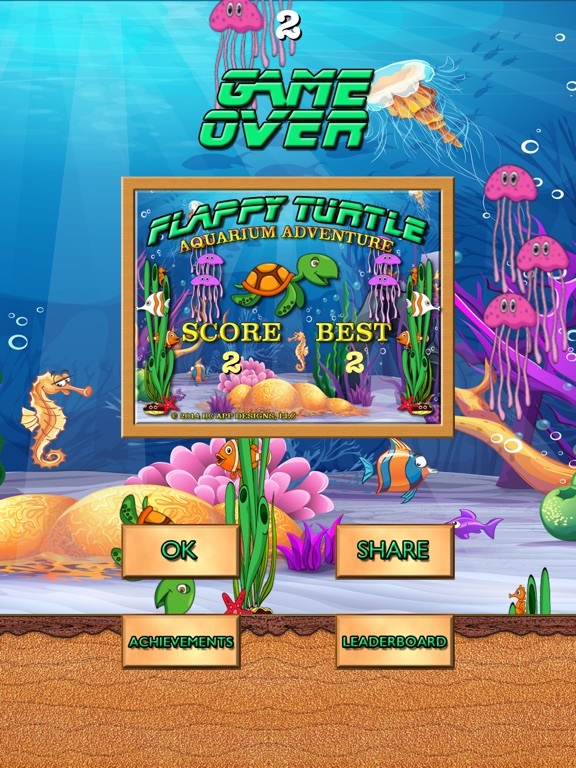 by acdc co – Nov 8, 2014My kids really enjoyed maneuvering the cute turtle through the challenging obstacles! Amazing scenery! We had a fun time trying to beat each other’s best scores! by Gina Schumaker – Nov 9, 2014Great graphics… Very challenging! Thank you for 1 more distraction from being productive!! by Lena2005 – Nov 8, 2014My 8 year old son scored 24 and I can’t figure out how! by Johnny19645 – Nov 11, 2014My grandson is much better than I, but I’m getting better. Addicting with great graphics. by Gilorado – Nov 12, 2014Super cute and fun, best graphics I have seen, kids love it!